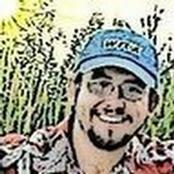 My name is Jason Gates and I'm a Research Software Engineer at Sandia National Laboratories. My undergraduate research focussed on simulating magnetically confined high-temperature plasmas, but in the midst of that I realized I was more interested in the math running behind the scenes. To that end, my graduate research focussed on numerical methods and scientific computing, but in the midst of that I realized I cared more about helping people do the software engineering side of their research better. I spent some time with Northrop Grumman Mission Systems as a Systems Engineer and learned much of what software engineering and dev-ops means for a large distributed team developing and maintaining a massive software product supporting a decades-long mission critical to national security. These days I try to take what I learned there and apply it by helping scientific R&D codes and teams transition toward becoming high-quality production-stable software engineering efforts. My passion is teaching and helping others do what they do better. Gates, Jason Matthew, "Defining Policies to Turn a Team and Project Around," Poster, Third Conference of Research Software Engineers, September 2018. Gates, Jason Matthew, Roger P. Pawlowski, Eric Christopher Cyr, "Panzer: A Finite Element Assembly Engine within the Trilinos Framework," Presentation, SIAM CSE 2017, March 2017.